As the world migrates from relying solely on personal computers and desktop work stations to the mobile age, almost every operation that requires a PC to function can now easily be done with the use of mobile apps and the world of computer aided graphic design is no different. Industry leaders in the CAD community such as Autodesk and Bentley have recognized the importance of designing on-the-go to graphic designers and have developed mobile apps to fill that void. Therefore, we will attempt to name the ten best apps every graphic designer can use to handle basic designing techniques on smart devices. 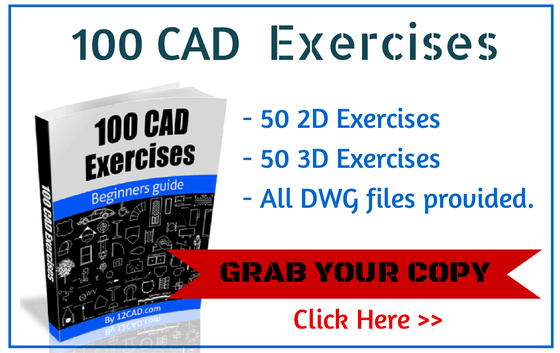 Before I move on with the list of Top Ten Most Used CAD Apps– I strongly recommend getting our 100 CAD Exercises eBOOK ! While going through this list, it is important to note that the shortlisted CAD apps cut across both the Android and iOS platform and the compatibility of each app to an operating system will also be pointed out. 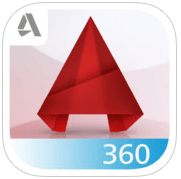 Autodesk’s first foray into the world of mobile apps was with the AutoCAD WS which was quite limited in terms of its features and what the app could accomplish but with AutoCAD 360, CAD users can now do more than just view DWG files for the app makes virtual editing and mobile drafting possible. AutoCAD 360 also integrates Autodesk’s cloud feature which makes it possible for you to save and access files from your remote computer regardless of your location. This feature makes collaboration by 2 or more Cad users on a particular project a pleasant experience. 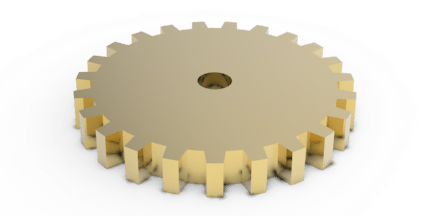 When handling small scale CAD design projects, it is recommended that you use a minimalistic 2D/3D CAD software with few tools for this simplifies the whole process and PADCAD for the iPad is just that tool. 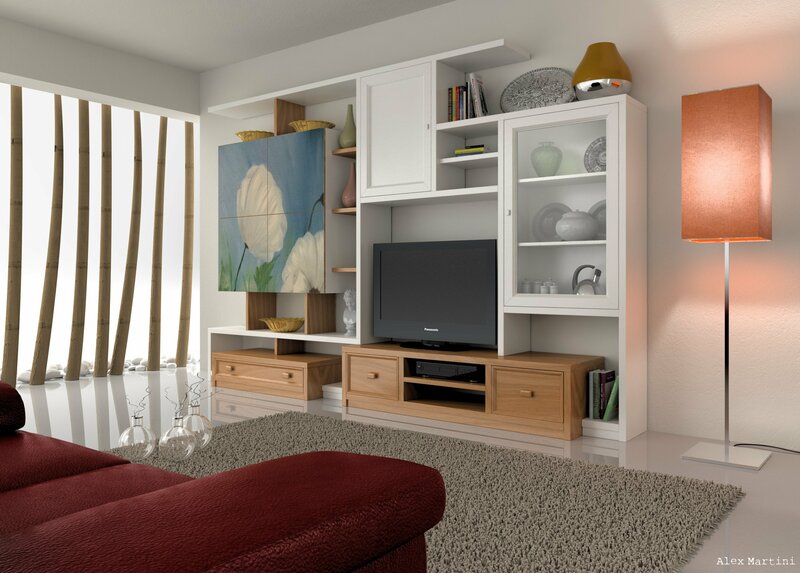 This mobile CAD app is a tool that should be used by architects, interior decorators and furniture assemblers to create furniture designs, interior models among other characters. It supports DWG files which means that you can import files directly from other advanced CAD software and edit them using PadCAD Lite. Professional Niche: Architects, Interior decorators etc. Everyone knows that if an app comes with the vowel ‘I’ in front of a word—such as iTunes, iPod etc… it means that the app was definitely developed for use on Apple’s operating systems. 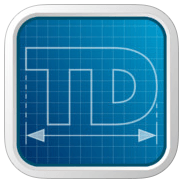 Therefore, the iDesign is a mobile CAD app for the iOS that handles technical drawings in 2 dimensions. This app supports file formats such as DWG and DXF which makes the import and export of files with other CAD apps quite easy. 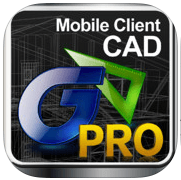 When in need of a mobile app that can help you and your design partners share graphic designs on your iPhones/iPads while on the road, look no further than the GstarCAD MC PRO. This software is a mobile viewing and editing tool that can be used on smart devices. 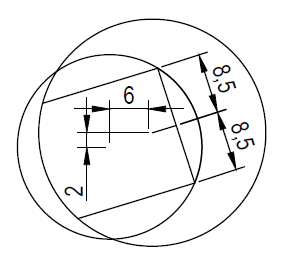 It also simplifies the process of sharing DWG and DXF files among collaborators working on a similar project. 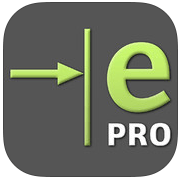 The eDrawing CAD application is a mobile app designed for the viewing and editing of 3D models. The app also includes several features including an augmented reality tool which allows designers view 3D model on a 1:1 Scale thereby giving the viewer a realistic view of that particular model. The app can be used by virtually anyone interested in CAD design and it is developed to function on most of the popular operating systems available to smart devices. Lastly, it supports DWG and DXF files which makes it compatible with AutoCAD. Touch Draw is an all-round graphic design tool that can be used to handle multiple design functions which include: drafting 2D models from scratch, designing graphics for presentations—graphs, logos, flow charts—it can also be used to design characters for illustrating stories. The app can be used by every graphic designer to accomplish simple tasks and it was built to run solely on the iOS. 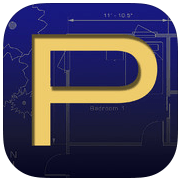 Every civil engineer understands the need for accuracy when designing a building component or structural plan and the DAKO PRO is the perfect mobile app to help engineers design with the needed accuracy. The app contains an expansive library which consists of information covering; beam design, concrete design and channel design. Architects make up a great part of the computer aided design community and it definitely makes sense to create a mobile app developed by architects for architects looking to eliminate the use of paper surveys. Rilievo allows you view architectural plans and edit measurements when necessary. 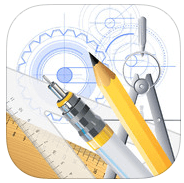 Architectural surveys edited on this app can then be uploaded to AutoCAD due to their compatibility. Cost: $2.99 which makes it a relatively free app. 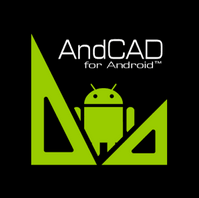 AndCAD is a slightly advanced 2D mobile application for handling CAD designs on the android operating system. The mobile app can be used to edit CAD drafts, vector objects and it comes equipped with features such as; object snap, image underlay, viewing and rotation tools which makes it a fairly advance mobile app. The app is still been worked on so other development features and tools can become accessible to its users. AndCAd is a major app used by professionals from the architectural and civil engineering community. Inard CAD is a great design app available for android users looking for a mobile app to view files and handle basic edits. 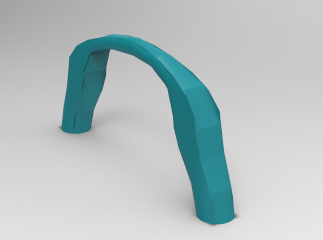 The app which is uniquely designed for touch screens is quite easy to use when drafting 2D models that consist of arcs, rectangles and other regular shapes. The app supports DWG file formats which makes synchronizing with more advanced CAD software applications possible. This are our top 10 mobile apps for CAD users but in keeping to our policy of listening to your suggestions, it would be appreciated if you drop your comments on your favorite mobile CAD app in the comment box provided for informative discussions.